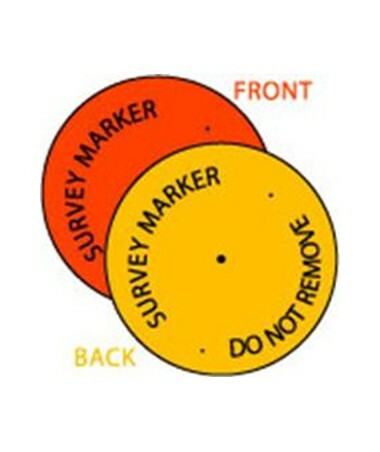 Printer "Survey Marker-Do Not Remove"
Hubdisc Survey Marker Discs are in packages of 100. Each Hubdisc is 1" in diameter and the nail hole is 1/8" in diameter. Printed "SURVEY MARKER - DO NOT REMOVE"